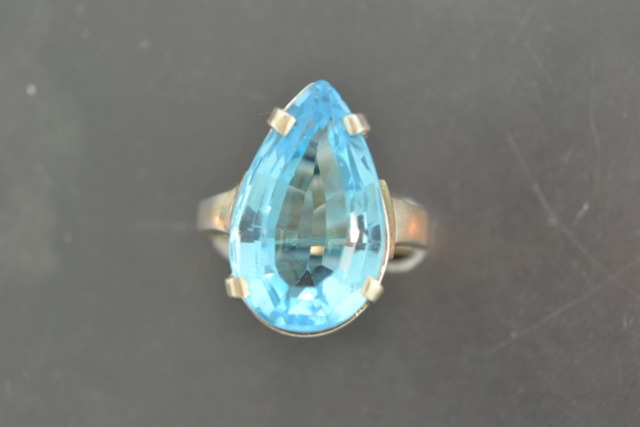 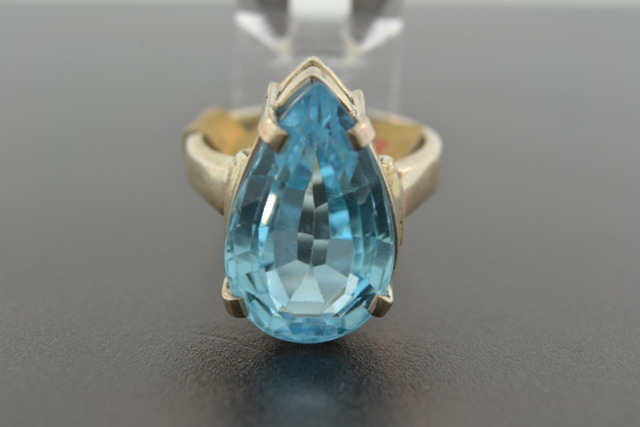 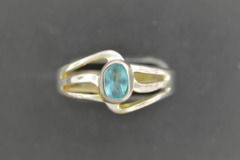 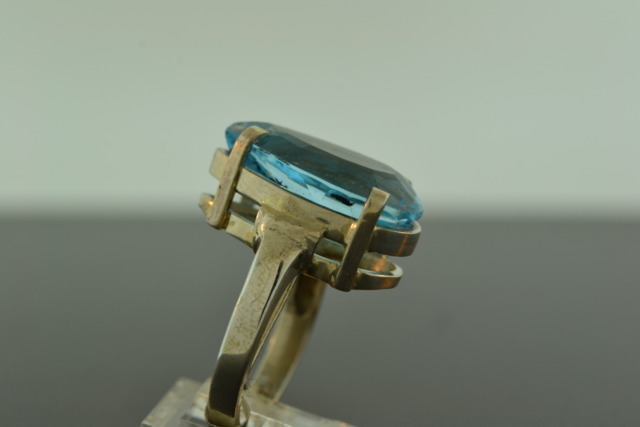 Pear-cut Blue Topaz set in Sterling Silver ring. 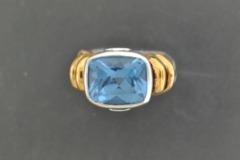 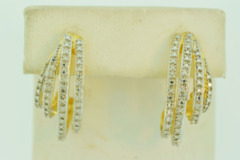 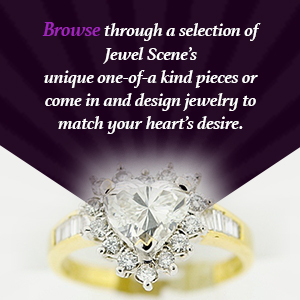 Jewel is 12mm and ring weighs 6.5g. 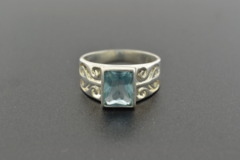 Ring size is 6 3/4.